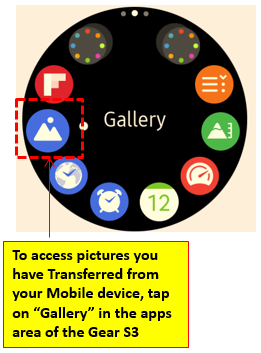 Select the files you wish to send (2.2) and tap DONE (2.3). 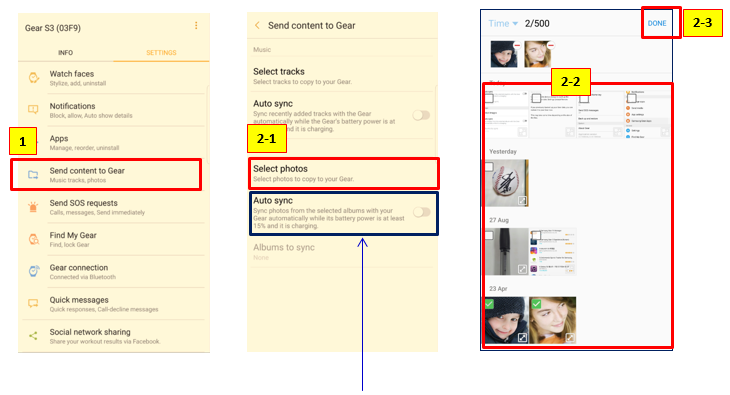 tap Albums to sync, and then select albums to import to the Gear. 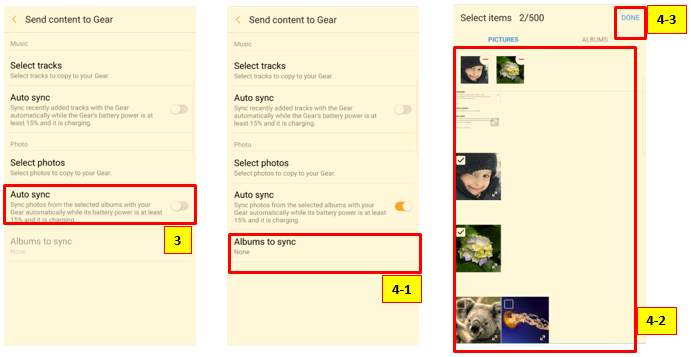 The selected albums will be synced with your Gear when it is charging and when it has more than 15 % of remaining battery power.